Enhancing PageRank (PR) is a crucial practice in the world of SEO and Internet marketing, because the link analysis algorithm rates the importance of any given website. While there are many ways to make sure that your website receives the kind of initial attention necessary to become a global player, the fact is that your website requires constant maintenance in order to keep up a good PageRank. And the value of your PR can never be underrated. There are a few ways that you can boost your visibility, but the truth is that if the major search engines do not deem your website to be important or worthy of the attention of your users, you are most likely going to fail. And if you think that your website is losing the admiration that you may have been building up, then it is likely that your PageRank has been dropping without you knowing. 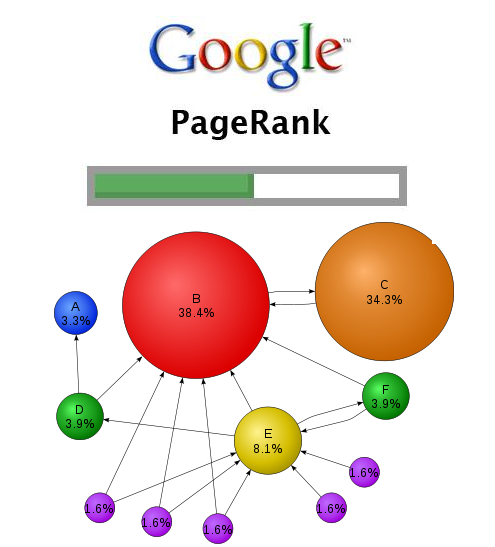 All this is a scary state of affairs, but maintaining the PageRank of your website is not as difficult as it may seem. Much like any other aspect of your business, all that you need to do is to develop a long-term strategy, and have the diligence to apply it consistently. Here are a few key elements that you need to incorporate so that you can maintain – and even boost – your PageRank. Search Engine Optimization (SEO) is a huge part of any online marketing strategy, but too many business owners only use it once, at the starting point of their marketing timeline. SEO is great because it makes use of keyword research and user preferences to make your website better suited to a wider array of search terms. The thing is that as soon as your site starts to grow, your client base and the searches that may be applicable to your site broaden, and you will thus need to use SEO again to keep up with new demand, and this is vital in setting and boosting your PageRank. By constantly optimizing your website, you will guarantee that users can find it, and as you grow, so will the importance of your page. Think of it as improving your fishing net constantly so that you catch the biggest load possible. Your website should reach out and make connections with as many websites as possible so that your PageRank improves. The best way to do this is by thinking of your site as the centre of a spider web. At every intersection, businesses related to yours should link up, and refer clients back and forth – all through the building of backlinks and active engagement with relevant sites. Your page becomes far more important, and begins to rank higher, if you have multiple connections to bigger, smaller, similar, and vaguely related sites. Again, you will catch a new crowd. Your PageRank will never drop as long as you bring in new clients constantly. Milk social media marketing sites, invest in marketing schemes, and make sure that you always give yourself an opportunity to get noticed. About the author: This article comes from Victoria Heckstall on behalf of Site2You.